Something for the weekend perhaps? This recipe just popped up on my Facebook new feed from BBC Good Food. It makes a truly deluxe hot chocolate. Perfect for a one-off treat. Photo from BBC Food, my photo didn't show it off well! Put the milk, cream and chocolate into a saucepan. Bring to the boil gently, whisking until it is smooth. 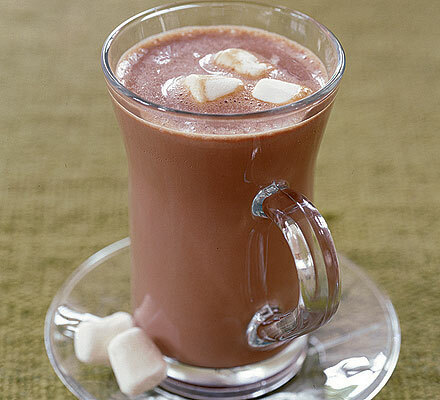 Serve in mugs or cups topped with marshmallows and grated chocolate. Good Food recommends making it a little more "grown-up" by adding 2 or 3 tablespoons of brandy to the mixture on the hob.